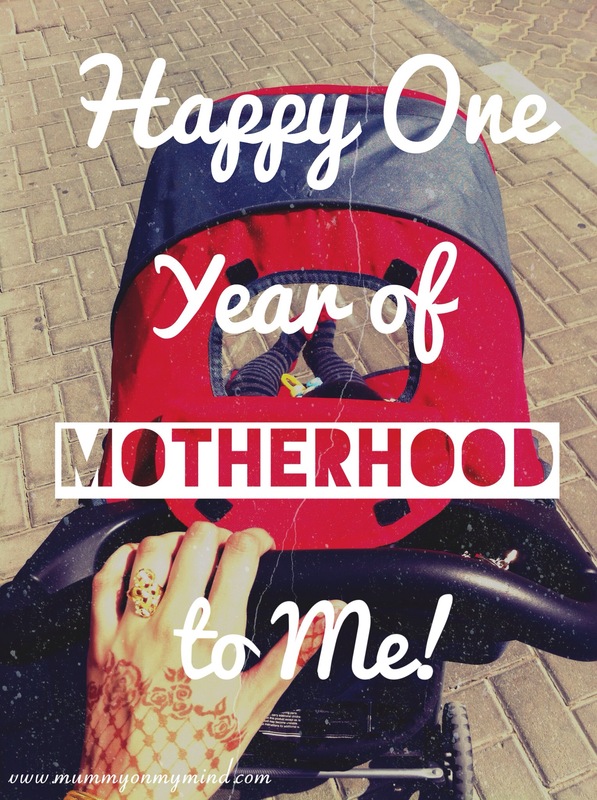 Happy One Year of Motherhood to Me! There is less than a month to go until Baby Z’s first birthday, and I still can not quite believe it yet! As I was pondering over how big my baby boy is growing, I came to the realisation that it will also be one year since I entered Motherhood! 2) Making sacrifices. Whether its giving up the last bite of your strawberry or taking a break from your career, we mothers learn to make a ton of sacrifices for the little ones. 3) It’s hard. Well Done to all the mums who manage to keep their children alive by the end of each day, because it’s a mighty tough job! But well worth it of course! 4) Being Patient. There have been many a moment when all I would like to do is scream as Baby Z throws his food on the floor for the zillionth time, but you just kind of learn to grit your teeth and say “No, that’s naughty.” in the most firm but sweet voice. 6) Taking pleasure in quietness. The moment that Baby Z is having a nap and it is finally quiet, it is basically HEAVEN… Until he wakes up again of course! 7) EVERYTHING is potentially dangerous. If I could baby proof the house (or city) my way, there would not be a surface or object that was not covered in bubble wrap. 8) The sillier you act, the more your baby will laugh. In the comfort of your own home, you will find yourself jumping around like a monkey, on one foot, whilst making strange aeroplane sounds and covering your face with a blanket or dupatta. All this to crack that smile on your precious little one’s face! 9) Why changing bags are so massive! Now that I have a little one, I totally understand that one simply HAS to carry everything they own in a bag to tackle anything that their baby will throw at them, whether that is a toy tantrum or a nappy full of poo! 10) You still have a lot to learn! Just when you start getting smug confident, your baby throws a spanner in the works! Also, now that I am reading a whole lot more mummy blogs, I have come to realise there is still a lot to cry about look forward in my role of Motherhood! How many years of Motherhood have you lived? Do you have any additions to make to this list? Feel free to share your suggestions in the comments section below! The first year is such a learning curve and so amazing! Congratulations!! Your Point 8) is the one that will always be helpful through the tough and happy moments. Children are naturally happy and can smile so brightly & beautifully with the slightest hint of silliness. Love them for it and for keeping us silly too! Thankyou! I really have learnt so much in just one year!! And you’re right, the little ones spread so much joy with their giggles and its hard not to get addicted to that! Thanks a lot! You’re right, sacrifices are just part of the package with babies!! I celebrated more having survived the first year, than my little girl having turned one. That first year with the first baby is ROUGH. Haha Congrats on surviving too!! Thankyou for your supportive comment! I do hope my confidence increases as you say! Thankyou for the lovely feedback! 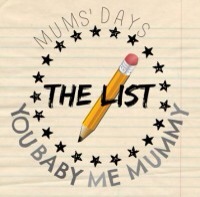 Love linking up with #Thelist!